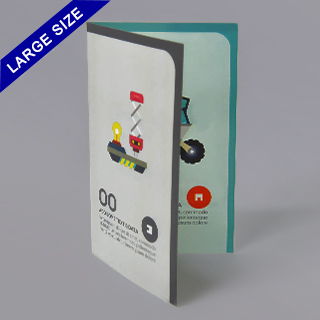 Bi-fold booklet for Large size 3.5"x5.75"
With this custom large size instructions booklet, the entire instructions manual measures at 3.5 inch x 5.75 inch, which gives you plenty of room to outline the rules and instructions to your custom board game or custom card game. 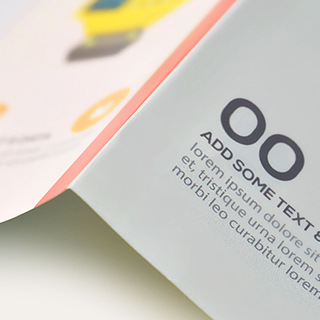 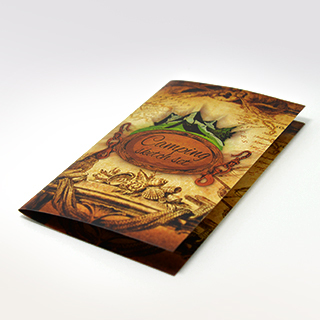 On the two sides, you can display any photos or graphics, which will be printed in full color on 128gsm paper with a water varnish finish to give a premium feel to your card game. 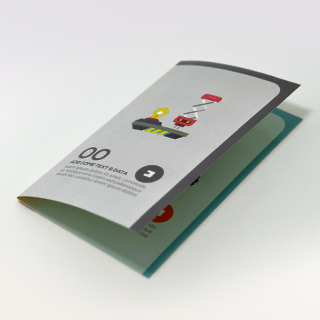 We have no minimum so you can prototype with an order of just one instructions booklet, or you can bulk order if you want a complete game production.